Good morning, my dear. I think the sun is absentminded today. It is yet to appear over the broad hill. Oh, my! Now that I'm taking a closer look at your picture, I can see that this corner here is getting yellow. See? Honey, looking at you more carefully made me notice that time is standing still. It is standing still because this longing hiatus that insisted in placing itself between you and me is not filled with time―it is the absence. A present absence, you know? Absence, absence... Have you ever heard of a more paradoxical word? I woke up with a funny feeling the other day, Honey. It was something like this: Time had passed too fast just to give me a fright. What a relief it was when I could smell your aftershave coming down the hall... I could even hear the scrape, scrape of the razor blade against your fresh skin. Your absence took over everything around here. Today, this house is just a large echo of a past that smiles at me everyday, but it is as fragile as a bubble, and the closer I get to at least try to breathe it in, the more it feels like darkness has enveloped me. I end up feeling I've lost touch with reality, as if I were floating over my own body. Does it mean I have lost my mind, Honey? I made you some tea. That strong one that tastes like fruit, no sugar. You always hated sweet things... Drink it before it gets cold. Honey, where do people go when they turn into absence? I'm only asking because your presence has quite a lot of it. Want more cookies? Yesterday I made the ones you used to like so much. It was lucky of you to stop by today! Honey, is there life on the other side of absence? I don't wanna be misunderstood... The thing is, if I'm in fact delirious, I don't wanna compromise the rest of my lucidity. At the very least I need to know the meaning of this empty word that has filled my entire life. How could I die in peace with this torment in my soul? You know, I can see your mischievous smile through these eyes on the paper. Go ahead, drink your tea before it gets cold. The kids are alright, my old man. They have beautiful children. Sometimes they come and see me. Other times they just call me on the phone. If I'm lonely? No, Honey. I live pretty well with my lack of good sense and the memories of us. They spend the entire day playing before my eyes. That's enough for me. However, the air is not enough for me to breathe when I have you inside of me. Tears in my eyes? Where? No... No, honey... The house is covered in dust. Since the beginning of this gestational period, I don't feel like cleaning anything anymore. I only do the dishes to clean up the little leftovers that allow me to have another bit of survival. You know how much I hate flies. You cry? Oh, no! You'll get the paper all wet. Then I won't have anyone to turn to when I decide to get rid of myself. Don't you understand me? You do, don't you, Honey?! Please, stop crying. Who knows? Maybe life has something big in store for us on the other side of this absence! Want another cup of tea? Can't you stay just a bit longer? I'm feeling so... so absent! Is that a forewarning? Honey, I don't think the sun will come up today. No... I think I'll be alright. Just don't take too long, okay? Look, Honey, I'll go sit down on the rocking chair and I'll only get up when my eyes grew heavy on my face. Sometimes, when I fall asleep while I'm crying, my eyelids get stuck to my emaciated skin and I believe I'm already gone. I'll just sleep a little bit. You know, it's a kind of training for when I'm gone for good. See? My sense of humor is still alive and kicking! I'll be okay, my dear. You may go, but don't take too long. I'm already feeling part of my soul detaching from the placenta of life. I don't know how long this labor will last. I already feel some weak unrhythmic contractions. SANDRA DATTI was born in her beloved Santos, State of São Paulo, in 1971. She graduated in Physical Education and Languages and Literature. She works at the Sports Department of the Santos City Hall, coordinating sports events. She is married and has a daughter who was born in 2005. She is slightly obsessed about Clarice Lispector—she wrote a thesis about one of her works in college. Mario Quintana's docility makes her lose herself in his books and visit little houses from the past. 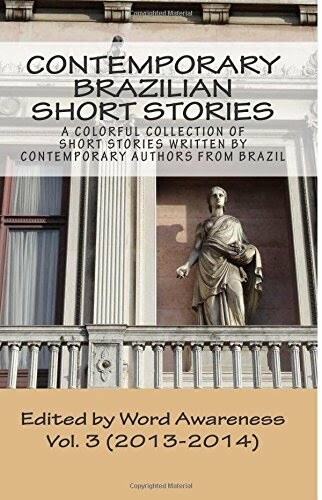 She is an avid reader of biographies, including those on Eduardo Logullo, Nelson Mota, and José Castello, as well intelligent and instigating chronicles, such as the ones written by Rubem Braga and Marta Medeiros. Sandra has been writing since she was 13 and plans on putting something together about her hometown. She has participated in several literary competitions, especially in 1997-1998, when she finished second in the Short Story category of 2nd International Prose and Verse Competition organized by the Cultural Latin Society in Brazil in Mogi das Cruzes, State of São Paulo. After a long hiatus, she decided to dedicate herself once again to the pleasure of creating stories. With the story on the left, originally entitled “Trabalho de Parto,” she was featured in the City and Regional lists of the 2011 and 2012 São Paulo Cultural Map project.